May 19th to May 25th, 2013. 5/19 Group run at Cougar Mtn. Park in Seattle with Eric Sach at The Balanced Athlete providing a SCOTT Kinabalu shoe demo…about 2 hrs for 10 miles and 1000’vert. 5/20 Easy 10 miles with Sandi (100min) and 500’ vert. in Seattle. 5/21 Steady 10 miles up Gregory-Ranger to summit Green Mtn. (33min or so ascent) then back down West ridge/bear canyon and back on Mesa trail for 79min. and 3793’ vert. 5/23 Long Run: 5 hrs with Sandi in Golden Gate State Park for 25 miles at around 9,000 of altitude. No gels! Just a bite of a Kind Bar and a handful of salted pumpkin seeds..pretty hot and dehydrated. 5800’ vert. 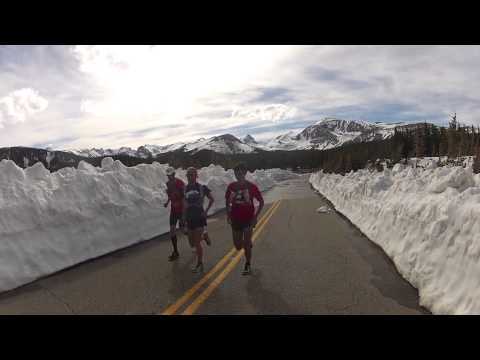 5/24 Easy 10 miles with Sandi up from Nederland to Eldora (road). 78min and 650’ vert. 5/25 Long Run (aka “adventure run). Lots of hiking through 3-5’ of snow…got a little lost with Trent Briney and Josh Arthur. Hit the summit of Audubon (13,200+). 8.5 hours out from the car… on 4 gels and 2 Kind Bars. 40 ounces water to drink. 24.5 miles for the day and 6,000’ vert. Right now I’m just happy I still have my health and have the time to explore new trails and mountains! 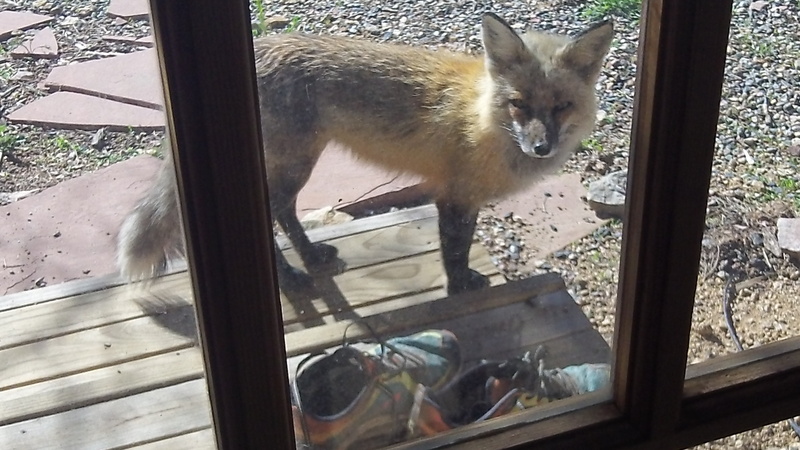 Wild Fox approves of the SCOTT Kinabalu Trail shoes! I am about 2 weeks out from my next race at the Cayuga Trails 50 in Ithaca, NY. I’m excited to go back to the college town where I went to school at Cornell and run this inaugural ultra-trail race. Here’s a video log “VLOG” entry of my training recap as well as footage of some of my latest adventures and animal sightings! Stay tuned for more Vo2max Productions.. Thanks again for all the support and best of luck with your own training and racing! 5 hours with only a few hundreds calories?? I take it you at least had some water on that trek, too. 8.5 hours on 40 ounces of water sounds crazy as well. You must be down 10 lbs by the end of those runs. I understand the learning to burn fat thing (a little bit anyway) but the no water thing seems like it’d lead to a very unhealthy state. Keep being careful with that sort of training! Enjoy crushing it at your old stomping grounds! the snow melt was quite brown and there were a lot of critters up there…after my bout with a bug last summer I’m extra cautious about drinking snowmelt…hence running out of water. Super stoked you’ll be at the veterans trail running camp this year! I noticed you rocking the eagle in your latest vlog and checked the elites section of the RWB page and there you are! Looking forward to some fun runs and picking your brain on training! Hey thanks for the support – it’s an honor to be part of Team RWB camp. Looking forward to the whole experience! yes, I was hiking a lot up that 13er because of the snow (a steep grade and altitude on rocks also makes more sense to hike). I try to run as much as possible though. 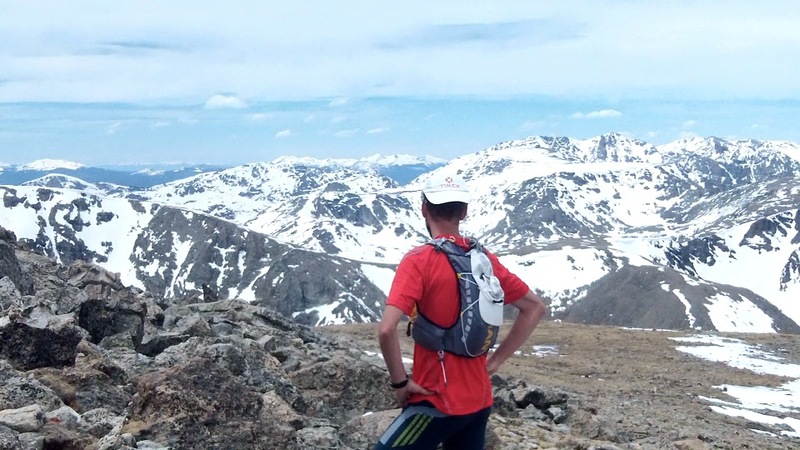 Some of the steeper and more technical sky races invovle a lot of powerhiking during the race so it’s good to train the legs for that as well! This may be beating a wild fox, but there is a seductive aspect of pushing a long training run with low hydration and low nutrition. You train the body to ignore what it needs in a long race. Even if you don’t bonk, your performance would have be better with a sounder practiced routine. Of course,I am more than twice your age, so it may just be early dementia on my part. See you at Camp Eagle.